UPDATED: Thu., June 29, 2017, 2:26 p.m.
BOISE – Testing of a small-scale version of a key component of an eastern Idaho radioactive waste treatment facility that has so far failed to operate is making progress at finding a solution, officials say. 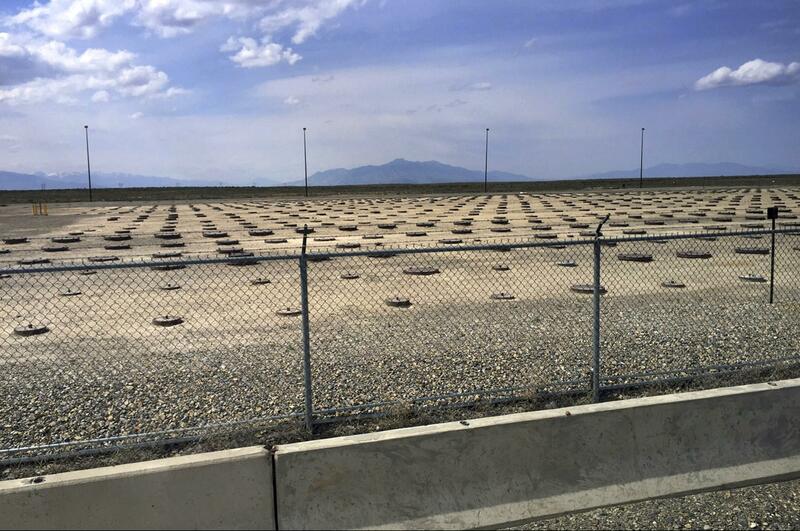 The U.S. Department of Energy on Wednesday said results from testing at Hazen Research near Denver, Colorado, will be used during planned tests at the Idaho facility later this year. The inability of the $600 million Integrated Waste Treatment Unit to process 900,000 gallons of high-level nuclear waste stored at the 890-square-mile Energy Department site has caused the federal agency to violate a 1995 agreement with Idaho. As a result, Idaho Attorney General Lawrence Wasden is refusing to allow research quantities of spent nuclear fuel from entering the state to be tested at the Idaho National laboratory, one of 17 Department of Energy labs in the nation and its primary lab for nuclear research. One shipment has already been canceled because of missed deadlines, resulting in a loss of millions of dollars a year to the area. The attorney general’s office on Wednesday didn’t immediately have a comment about the testing. In December, when the Energy Department announced its plan to conduct the testing, Wasden said he was encouraged that the agency would find a way to treat the nuclear waste. The federal agency said the main problem involves a cylindrical vessel filled with billions of tiny sand-like particles that is heated to 1,200 degrees. The plan is to inject the liquid radioactive waste so that it coats the tiny particles that would ultimately be sealed in stainless steel canisters. However, simulated waste used in practice runs coated the inside of the cylinder, causing a bark-like substance to form and disrupting the process. “The testing at Hazen has been beneficial because they’ve been able to significantly reduce, if not virtually eliminate, this problem,” Kevin O’Neill, the Energy Department’s Idaho project manager, said in a statement. The Energy Department initially had a 2012 deadline based on the 1995 agreement to deal with the liquid waste that’s stored in tanks above a giant aquifer that supplies water to cities and farms in the region. But that deadline has been extended multiple times and was most recently missed in September after the federal agency announced that scientists couldn’t achieve a stable operation at the facility to treat the waste. Under the agreement, the Idaho Department of Environmental Quality is fining the Energy Department $3,600 a day following that missed deadline. Published: June 29, 2017, 10:48 a.m. Updated: June 29, 2017, 2:26 p.m.